If You See Someone Wearing A Safety Pin, THIS Is What It Means! Home » other » If You See Someone Wearing A Safety Pin, THIS Is What It Means! There is a new movement flowing through the United States and it is something everyone can join. It all has to do with safety pins and the idea started in Great Britain after the famed Brexit vote. This last summer, Great Britain voted to leave the European Union, however, many people saw it as an anti-immigration and anti-minority bill. When it passed, many people were upset and wanted to show their support to those directly impacted by the vote. That is where the safety pins come in. People started wearing them to show support. Now, following the surprising election on November 8th, many Americans are adopting the safety pin movement. 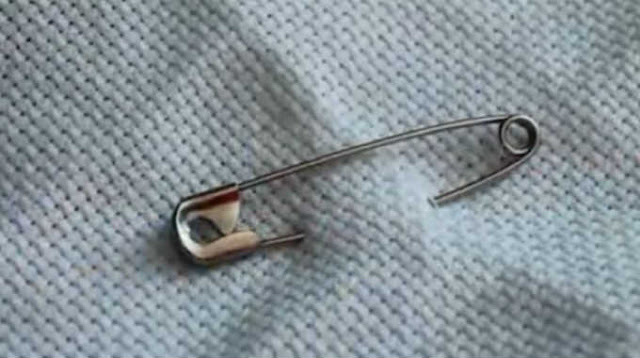 People are wearing safety pins to show minorities that they stand with them. They are also I sign that the person wearing a safety pin is against the hate speech and violent actions many are reporting across the country. Mostly, it is a reasonable way to show support for others without being violent in return.